The whole family is invited to discover the world of toys, at the foot of the Guet Tower. Inside the village are a traditional 1900s double-decker carousel, cabins and light decorations. Starting on 7 December, every Wednesday, Saturday and Sunday, children can visit Father Christmas in his cabin, and leave with a photograph presented as a gift from the Town of Calais. Santa's cabin will be open every day during the school holidays and up to 23 December. 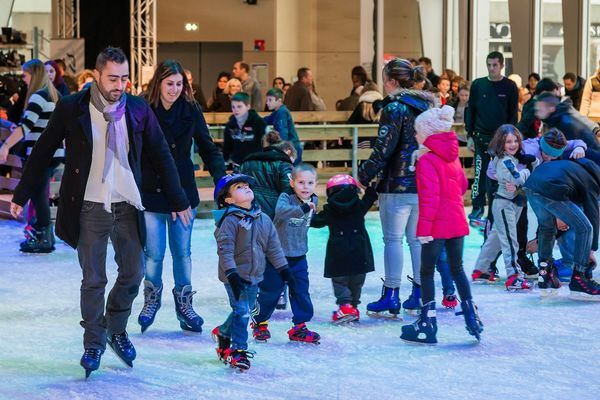 The more adventurous can take to the covered rink, sheltered under the Halle, for some skating fun (opening times below). Closed on 25 December and 1 January, closes at 6.00pm on 24 December and 31 December. There is no review about The Village Of Toys And Its Skating Rink - Calais, be the first to leave one !